The NBA is in full swing. Whether you’re looking to buy tickets to a game or sell extras you can’t use, check out SeatGeek, the smartest way to buy and sell tickets. SeatGeek is giving readers $20 back on their first order to any event, with promo code DEADSPIN. SeatGeek pools the tickets of every trusted ticketing site (from major marketplaces to individual brokers) in one place to save you time. Whether you’re looking for tickets to professional sports, college games, concerts, theatre, comedy, or any other live event, you’ll find all the deals at SeatGeek. Their comprehensive ticket selection means no event is ever truly sold out, with last minute ticket prices dropping significantly. SeatGeek’s interactive map zooms down to the exact row where seats are located, letting you know right where you’ll be for any event. The Deal Score rates every ticket from 0-100 based on value, so you can quickly find the best deal and not have to worry about overpaying. Ticket transfer allows you to instantly transfer or sell your tickets to your friends or other fans right from the app, so you don’t have to worry about meeting up before an event. 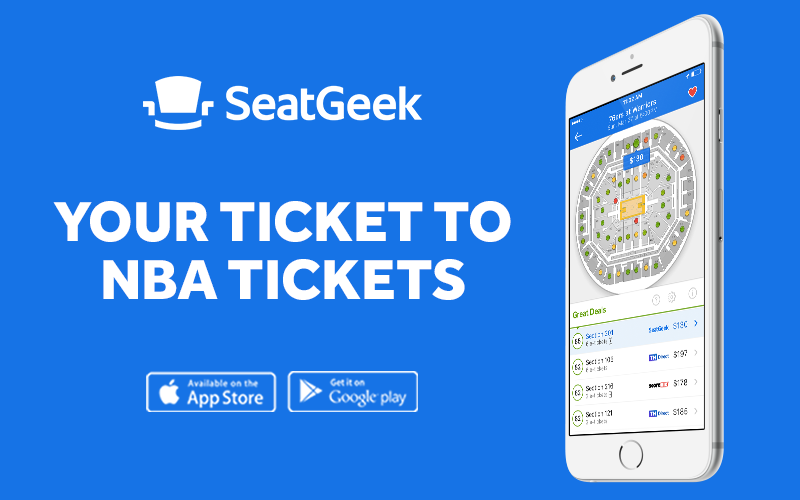 With interactive maps, the Deal Score system, and mobile tickets, SeatGeek sets itself apart from any other ticketing site. And best of all, SeatGeek is offering $20 back on your first order. Use promo code DEADSPIN (valid for first time customers only).